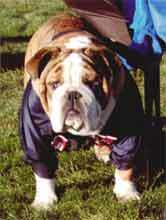 Uga, the mascot of the University of Georgia, is probably one of the most widely known and publicized live Bulldog mascots. 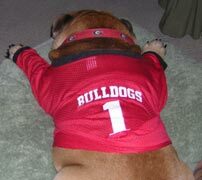 His name was created from the university's acronym University of GeorgiA. 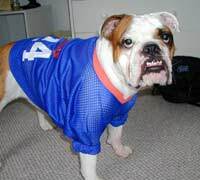 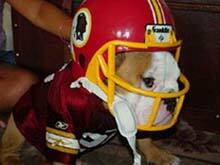 Why exactly the bulldog was chosen as their mascot remains unclear, but it appears that the image of the tenacious and courageous bulldog suited the school and it's traditionally pugnacious football team. 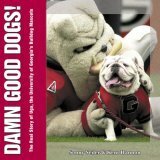 Uga I and his successors, all descendants along the same lineage of robust and pugnacious bulldogs (a line that remains unbroken to this day) are all buried in UGA's football stadium. 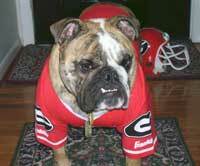 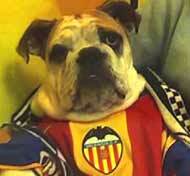 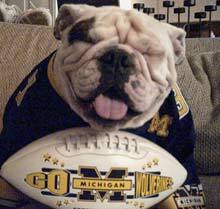 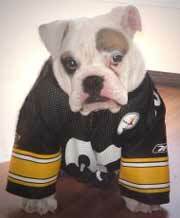 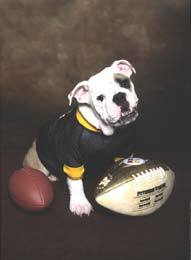 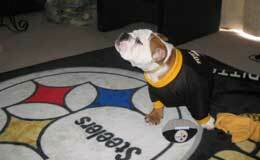 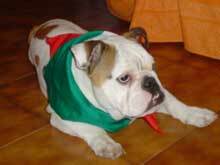 UGA VI followed up on UGA V, who passed away in November 1999. 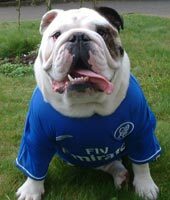 The oldest Bulldog mascot is the English bulldog named "Handsome Dan" who became the mascot of Yale University in 1892, the first University in the United States to adopt a live mascot. 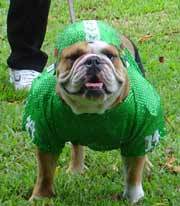 The line of Handsome Dan and his original successors now numbers 16 bulldogs, who have been the intimates of deans, directors, and coaches and even a head cheerleader (and future Secretary of State). 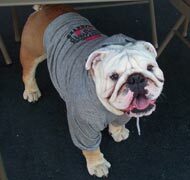 Other colleges, corps and businesses, such as the U.S. Marine corps, Mack Trucks and many other sports teams, have chosen the Bulldog as their mascot.